It’s that time of year again! The new school year is begining, and somehow you already feel mentally drained, your motivation has completely disappeared, and you the semester will finish you before you finish it. You’re struggling with the idea of staying driven to the very end of exams. It’s difficult to see the light at the end of the tunnel but with these 6 tricks, your motivation will be back and here to stay until the end of the semester. If you’re completely burnt out, it will show in your work. You want to give the best you can possibly give and to do so, you need to be at 100%. Give yourself a break! Take a nap, watch an episode of a television show you enjoy. Remember that it is just a break, so don’t spend the entire day taking a break. It is easy to get carried away with social media apps that are available right on your phone. As exciting as it is to view photos of golden retrievers on Instagram, your schoolwork will not get done with your phone sitting on your desk. Put your phone on airplane mode and putit in a drawer. As a way to encourage yourself to get work done, place an hourly timer to use your phone for 15 minutes after every hour as a motivation mechanism! 3) Set All The Goals! As humans, we love the feeling of accomplishment and encouragement. Think about that feeling of closing all those tabs on your laptop after finishing an assignment. Now, think about the feeling of crossing that assignment off your to-do list. There are very few things that feel as good as this! Set goals, big or small, for yourself to keep yourself motivated and encouraged to keep working. As students, we sometimes forget that broccoli is important. Some might have not seen a piece of broccoli since they’ve started university. It is difficult to meal prep and make meals that are healthy, however, it is not hard to at least try and eat a little better. Cut back on the endless instant noodles and feed yourself some brain food so that you’re awake while you’re studying. The more energy you have, the more you will get done and feel accomplished! 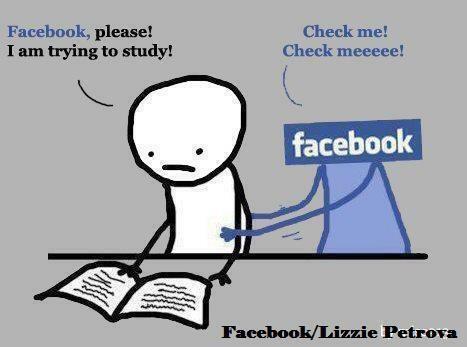 Studying can be quite boring especially if you have been studying the exact same way for as long as you can remember. Get out of your comfort zone and try group studying. It will encourage you to meet some of your classmates and will potentially benefit you as it will be numerous brains studying together as opposed to just one. The brain can stay focused for about five to six hours. The minute you stop retaining information is the minute you should take a break. You will be wasting your own time trying to stay focused and will only result in frustration from the lack of retaining. Keep your motivation and encouragement by not overdoing it! Try to change it up with some physical activity before getting back to your studies. What are your favorite ways to motivate yourself? Let us know in the comment section below. D’s get degrees, but A’s are much better. Because forcing your eyelids open isn’t exactly considered studying. Like budgeting, planning out your study time tends to lead to higher performance among students, this is because designating specific time for each course will not only allow you to build a routine, but also allow for excess course-review time when you’re actually caught up with your studies. If you set goals in each course or during each study session, you are sure to pinpoint the important areas of focus and study effectively by setting clear direction instead of spending time on a topic that may or may not be of serious relevance to your course. Since motivation is at it’s all-time highest when you actually begin a task, start with your hardest subject first, that way it only gets easier as the session progresses. Group work forms a highly effective study session for a few reasons; first off it’s nice to have someone else there in case you don’t understand a concept, you complete assignments more quickly, and as you reiterate or teach lessons to one another, you’re also internalizing the subject matter which ultimately makes for a better understanding and an easier time remembering certain concepts and information. The key to efficiency is organization, and although this may seem like an initially time-consuming, tedious job, after the initial organization having your notes, computer files, assignments, and books organized will aid in maximizing efficiency, having ready access to information, and handing in assignments promptly. Instead of shuffling for course notes right before an exam, take great notes in the first place! 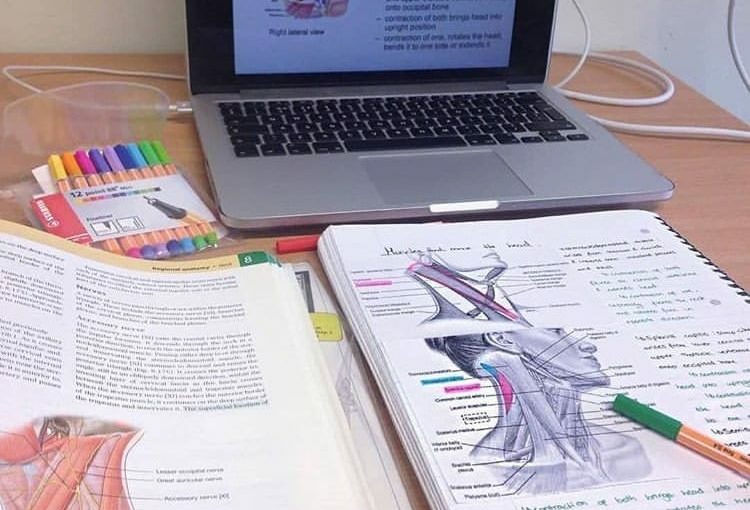 This will surely make studying and organization easier due to the accessibility of your course notes, but will also aid in accumulating actual course knowledge as you’ll be rewriting concepts now and at the time of studying. It’s insanely easy to ignore that above mentioned study schedule, but if you do a little bit of studying daily, you’re sure to remember the course better, have an easier time building and connecting subject matters. Ok, not to go all elementary school on you, but getting approximately 8 hours of sleep, maintaining a generally healthy diet, and getting some regular exercise, are all immediate factors of how much brain power, motivation, and stress- relief your body is ready to output, all seriously important components to maximizing efficiency as a student. I can’t stress this enough!! Not reading your course outline can be detrimental to your grade. Not only are all your important due dates and corresponding grade percentages included, but profs tend to include very important information on these sheets that they may not bother telling you in class, even if you make it to the intro lecture. An example of this may be the amount of classes you can miss without failing or whether or not neglecting to hand just 1 assignment can lead to automatic fail (this is actually a thing! ).